One of my best friends just had a baby...an adorable and fashionable little girl. Already at less than a month old, she has more friends on Facebook than most adults and has already rocked leg warmers. I can't wait until she is old enough for me to teach her to sew! I knew I wanted to sew up a cute vintage-inspired outfit for her. I was having these thoughts when the lovely Katie from 'Little Dress Kits' contacted me about an amazing business she has that makes sewing for little ones so easy! 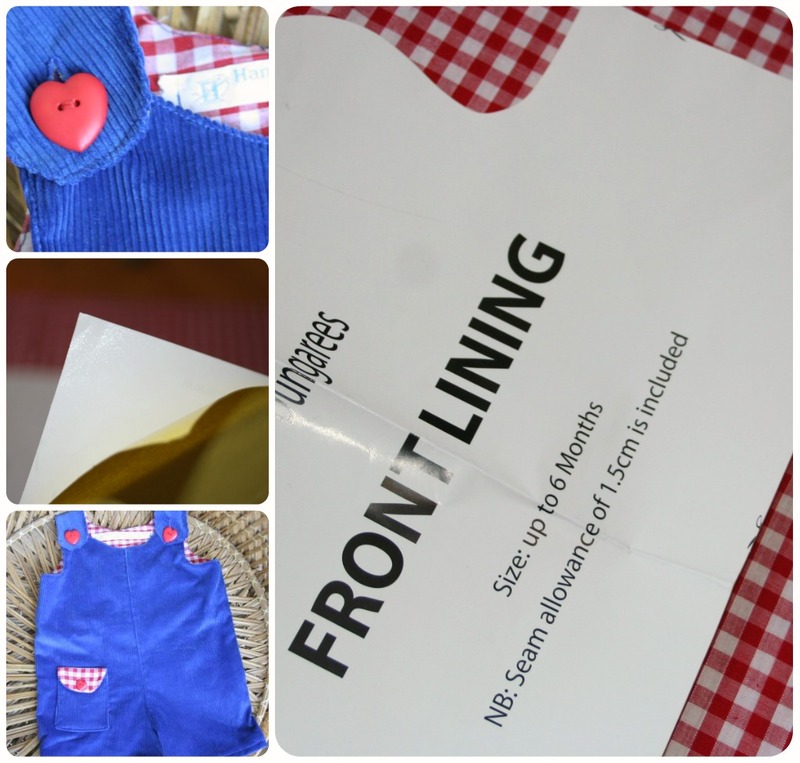 Perhaps the most brilliant thing is that the Little Dress Kits are made for people with all levels of sewing experience, including absolute beginners. No sewing experience necessary for their beginner kits. She walks you through every step in the detailed instructions. Plus, there is no guesswork or confusing notations on the pattern pieces. AND GET THIS....the pattern pieces are printed on sticky paper. You just peel them off the paper and stick them directly onto the fabric. No pins necessary!! Brilliant. And it worked like a charm. Plus, the little outfits are made from easy to use fabrics like corduroy and gingham (both have up and down lines on the fabric already--making it easy to cut out). 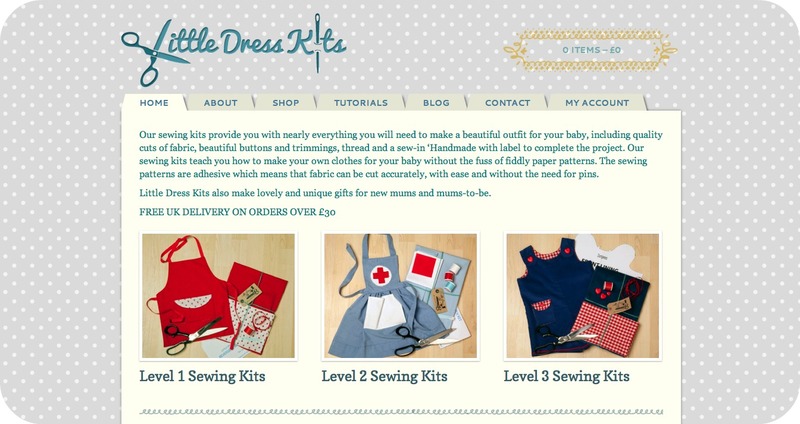 I love innovative sewing businesses and will definitely be buying her kits in the future. I really like having everything I need and not having to decide on fabric or notions! If you missed the giveaway at So Zo's blog, here's another chance! Katie is so wonderful and has agreed to give away one of her Little Dress Kits. Just visit her website and leave a comment below with your choice of sewing kit by Saturday the 6th of July. This giveaway is open to readers everywhere. 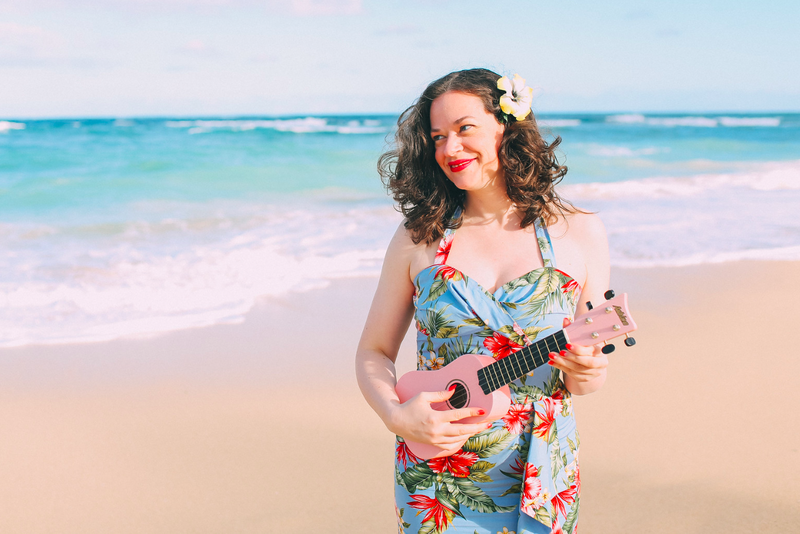 Good luck and thank you Katie for the inspiring business and hosting a giveaway! Hi, I love the reversible pinafore - immensely cute and perfect as I have two adorable little nieces. I have a wee 5mo, I love dungarees on her, and I'm just getting back into sewing so the sweetheart dungarees would be perfect for us! Gorgeous! They're all beautiful. Just like Macska, I'd go for the tractor dungarees in 12 month size. What a great concept! And the sticky patterns are genius. My friend is having her first child soon and this would be perfect! I'd go for the car dungarees, 12 months in size. I will definitely be purchasing some things from here. If I were to win I'd go with the tractor dungarees in 12 month size. I have twin nephews and they'd look adorable in them. What a gorgeous pair of dungarees! I'd choose the car dungarees for my new nephew who is due in a couple of months. I loved sewing for my little children (I have five) because there was no fitting involved. Everything went together quickly and I could get things done in one day. These kits look wonderful. I'm expecting my first child and would love to make her the sweetheart dungarees. I'd love to win one of these! One of my friends has recently given birth and I'm ashamed to say I didn't make it in time to make her a maternity dress. So I want to surprise her with some cute baby clothes instead. The Car Dungarees are just the cutest! I like the tractor dungarees, practical and lots of fun. 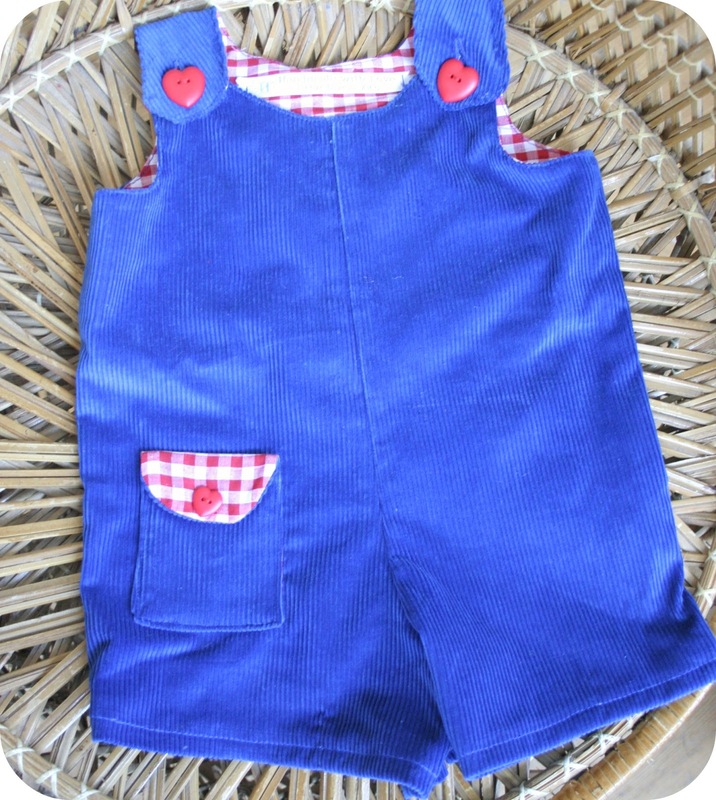 I really like the sweetheart dungarees - but I've run out of girls to sew for! That said the car dungarees are a really lovely boy alternative, and handily have a baby nephew ready and waiting. Wow, how lovely! My sister-in-law is having a baby-boy this month, so this would be a perfect gift! I mean, the Tractor dungarees kit that I could sew. I'd be so happy if I won! Thanks for the opportunity! I adore the little waistcoat pattern... My nephew would look sew adore able in it! The little waistcoat is adorable!